Ultimate Headphone Guide is a new bi-annual publication that represents a joint venture between The Absolute Sound magazine and its sister publication Hi-Fi+. My name is Chris Martens and I have the privilege of serving as the Editor-in-Chief of Ultimate Headphone Guide and one of my first official tasks in that new role was to attend and report on the CanJam NYC event held this past weekend (17-18 February, 2018) at the Times Square Marriott Marquis hotel in New York City. CanJam NYC is a vibrant event that attracts headphone enthusiasts of all descriptions, ranging from those looking for affordable but high-quality alternatives to the ‘plain vanilla’ earphones that come with many smartphones all the way up to those who own ultra high-performance, multi-thousand dollar/pound/euro headphone systems that deliver astonishingly fine sound. Accordingly, CanJam events offer a welcoming and egalitarian vibe where the common denominator is that everyone in attendance cares deeply about music and sound quality and is seeking exposure to the latest in high-performance headphone/personal audio products that span a wide range of price points. Unlike the sort of painfully upper crust, nose-in-the-air ethos that can sometimes spoil traditional high-end audio shows, CanJam events have a much more inviting, discovery-orientated ‘feel’ where attendees typically share a “we’re all participants in this sport” mind set. This also means CanJam events tend to attract a comparatively broad range of enthusiasts, comprising music lovers young and old, male and female, newbies and veterans, well-heeled and not-so-well-heeled—all looking to find better-sounding ways to enjoy the music they love best. What follows is the first of four illustrated descriptions of some of the finest product discoveries I made at CanJam NYC 2018. Let me acknowledge in advance that I was not able to visit all vendors at the show, for which I apologize. If your firm happens to be one I’ve left out, please know that no slights are intended by my omissions. The simple fact is that CanJam events have got so big that just one journalist cannot cover them, which means we may have to expand our coverage plans as we move forward. Further, where events are as well attended as CanJam NYC was, it sometimes can be tricky even to gain access to vendors’ demonstration tables, where there can be deep queues of attendees eagerly awaiting their turn to hear new products. The value-minded firm 1MORE informed us that its newest model is its Triple-Driver over ear headphone ($249), a review sample of which will be headed our way soon. The Triple-Driver headphone features a 40mm dynamic driver with an exotic graphene diaphragm, a supplementary bass driver, which 1MORE terms a “bass reflector”, and a ceramic tweeter. Anyway you look at it, the Triple Driver is a lot of headphone for the money. 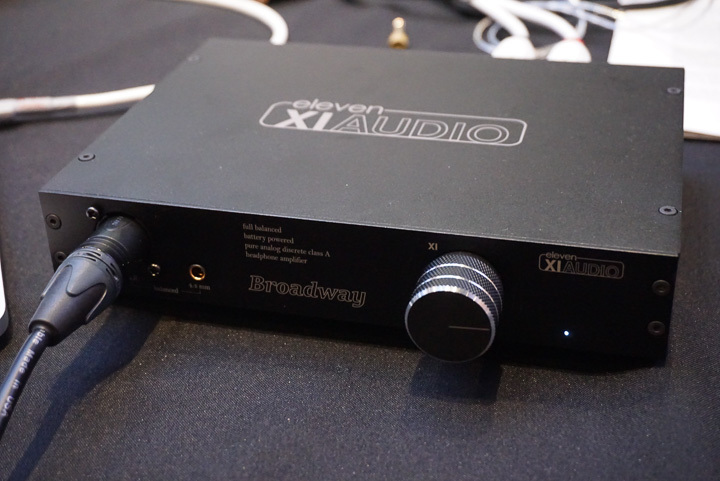 The Chinese firm XIAudio showed one new headphone amplifier and one expansion option for an existing headphone amplifier at CanJam NYC. The new model is called the Broadway ($2,299), which is a fully balanced, 1Wpc, pure Class A headphone amplifier that is—get this—battery powered. 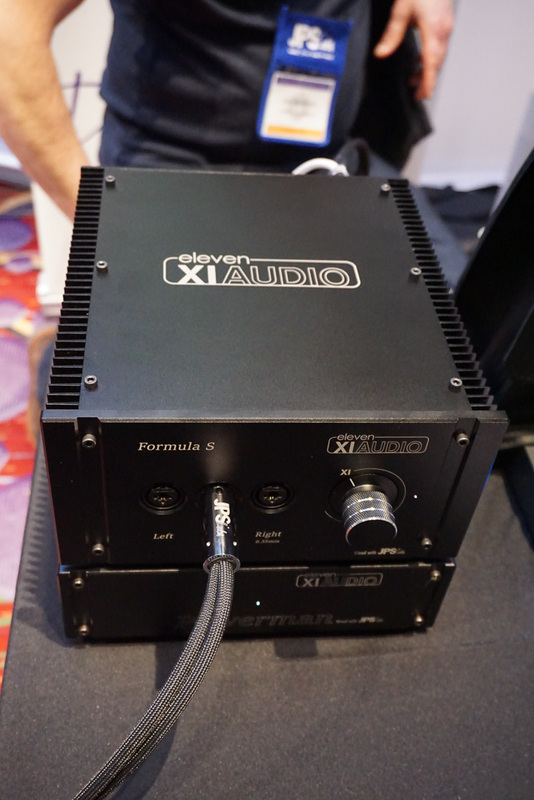 Then, as an option for the firm’s 2Wpc, pure Class A Formula S headphone amplifier ($3,499), XIAudio now offers a beefy outboard add-on power supply that sells for $2,000. XI Audio products are distributed in the US by JPS Labs/Abyss headphones and Abyss designer Joe Skubinski speaks very highly of the power supply-enhanced Formula S amp. 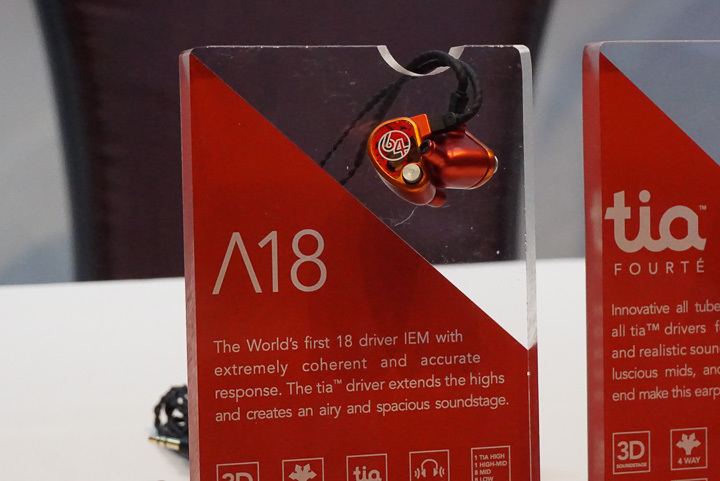 Over the past year and a half, 64 Audio has been developing new earphone designs that leverage the firm’s proprietary ‘tia’ (Tubeless In-Ear Audio) technology, which feature a new type of so-called ‘open balanced armature driver’ that do not use the fully enclosed canister-like enclosure or output bore tubes common to conventional balanced armature drivers. The result, says 64 Audio, are drivers that offer superior resolution and transparency while minimising unwanted vibration and resonance. 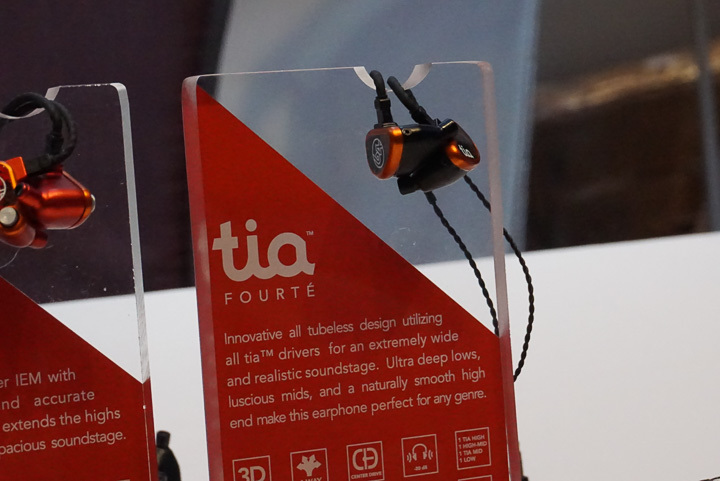 The firm’s first two ‘tia’ models were the flagship tia Fourté earphone ($3,599 and featuring three tia-type drivers and one dynamic driver) and the U18t earphone ($2,999 and featuring tia-type high and high-mid drivers, plus eight balanced armature mid-drivers and another eight balanced armature low drivers). 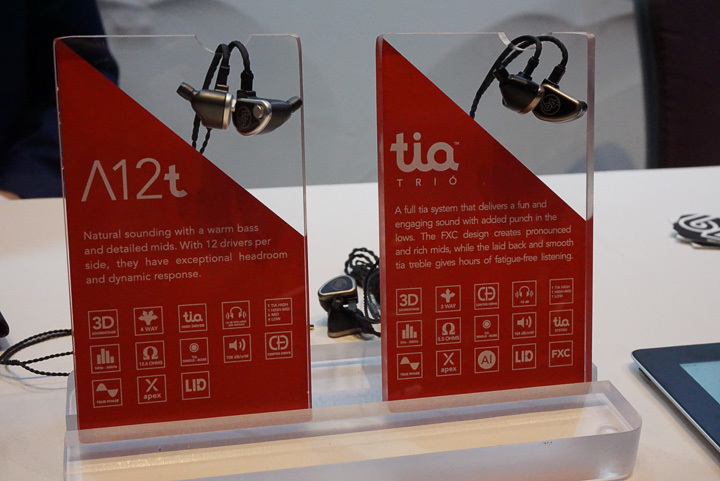 The tia Fourté and U18t were on demonstration at CanJam NYC as were two new tia-family models: the tia Trió ($2,299) and the U12t ($1,999). The tia Trió features one tia-type high frequency driver, one high-mid driver, and one dynamic driver, while the U12t features one tia-type high frequency driver, one high-mid driver, six balanced armature midrange drivers, and four balanced armature low drivers. 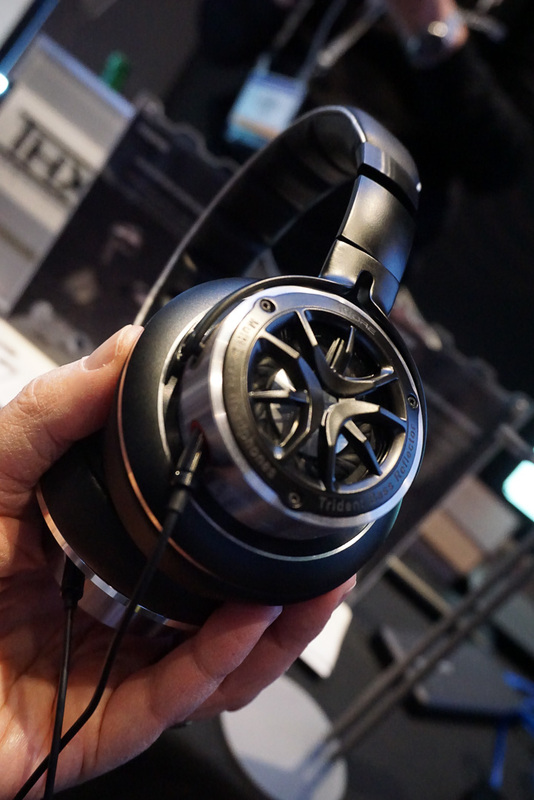 Abyss is best known for its excellent but also unorthodox flagship AB-1266 Phi Edition planar magnetic headphones, which sound terrific but whose angular frame design is controversial. 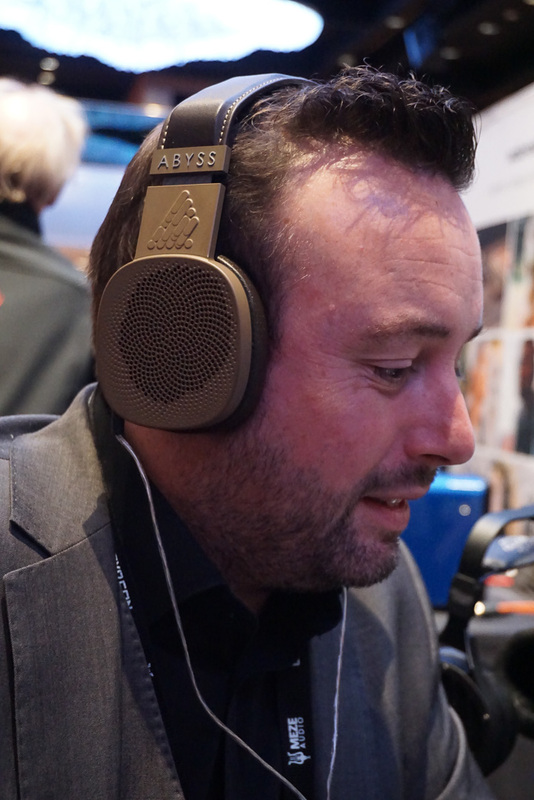 To address objections to the AB-1266 Phi Edition model, Abyss has been working to create a lighter, more conventional looking, yet still very high performance headphone called the Diana. At CanJam NYC, Abyss announced the full production release of the Diana ($2995), which has received a number of critical design changes along the way. As a result, the production Diana not only sounds better than early-generation prototypes did, but also is markedly more comfortable and fits a wider range of head sizes than before. ‘Nicely done, Abyss.